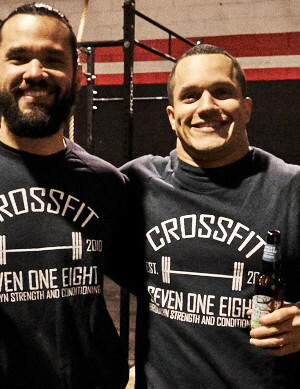 Whether it’s been two weeks or two years since you completed the Basics, it’s always a good idea to regularly revisit CrossFit’s fundamental concepts. That includes things like proper form and movement patterns, but also the aspects of CrossFit that make it different (and better!) than other types of workouts. Getting back to basics will ultimately help you improve your performance, prevent injuries, and get more out of your WODs. Review the WOD before class. Remember how excited you were as a rookie to check the next day’s WOD? We still post workouts on Wodify at 8 PM the night before so that you have the opportunity to check your times and one-rep maxes, pack the appropriate equipment, and generally prepare for class. Try the recommended mobility drills. Regardless of experience level, everyone needs to warm up. Coach Iz handpicks mobility drills for each class and posts Youtube links in Wodify. Try incorporating these drills into your pre-class stretch time. Pay attention to your coach’s demonstration. Even if this is your 500th clean and jerk, you can still learn something from watching a trained instructor break down a lift. Keep light workouts light. Just because you can go heavier doesn’t mean you should. If a workout is programmed at 65% of your one-rep max, there’s a reason. Take the time to concentrate on your form and movement patterns. Master the fundamentals before working on advanced skills. Once you’ve been CrossFitting for a while, it’s natural to want to try more advanced movements. But if you haven’t nailed down fundamental skills like double-unders and toes-to-bar, spend your time there and save muscle-ups for later. Track your workouts. Recording your numbers and times helps you measure your progress. And it provides important information for future workout. If you want to, dig out the little marble notebook you got as a new athlete and record your workouts there!